Kneale Mann | Leadership: Is That Charity or Service? Is That Charity or Service? Charitable is the act of giving money, goods or time to the unfortunate, either directly or by means of a charitable trust or worthy cause. The name stems from the most obvious expression of the virtue of charity is giving the objects of it the means they need to survive. A few weeks ago a colleague asked if I thought there was a difference between charity and service. I said it is up to the individual. We all do stuff for others without financial compensation, that’s what makes us human. Look at the outpouring of support for Haiti right now. Sadly there are people looking to profit from this tragedy as well. There are many types of service. • Civil service | Career employees of government. • Community service | Volunteer service for the benefit of a community. • Customer service | Provision of assistance to customers or clients. • Domestic service | Employment in a residence. • Public service | Carried out with the aim of providing a public good. • Selfless service | Performed without any expectation of result or award. My colleague pressed further and asked if I thought there were parameters for charity and service and again same response - it depends. Then she went for the big one. If you willingly giving your time or resources and the other party begins to ask for more than you are able to give - is that charity or service? Neither. It's time to examine the relationship a lot closer. Companies toss around phrases like customer service but they are empty without meaning. Do you mean it? Does your company mean it? 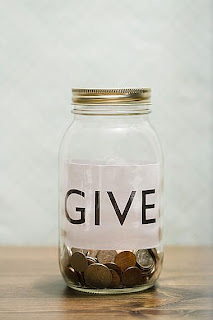 Do you give to the less fortunate for the tax receipt or for how it makes you feel to help another? Do you smile so the customer thinks you are giving them service but you are simply trying to get to their wallet? Companies need to make a profit, we all need a hand at some point but the question may not be as simple as it may seem. What is the difference between charity and service?